Why are some people drinking bath milk? There are people all over this country buying bottles of ‘bath milk’ and then… hold onto your tea cup… drinking it. Of course, ‘bath milk’ is simply raw, unpasteurised milk. It’s sold under the guise of bath milk because it’s illegal to sell raw milk for human consumption. Basically, it’s the white moonshine of the 21st century. You might imagine the brazen folk who guzzle this stuff by the litre are left-wing wiry-haired hippies doing it as an act of defiance. As it turns out, the greatest advocates of raw milk are mothers who have taken the treatment of their child’s eczema into their own hands, or grown adults who swear by the stuff for fixing their ill-working gut. So what’s the deal? Why is the sale of raw milk for human consumption illegal? Why do seemingly rational business owners risk legal action against them for selling it? Why do caring mothers feed it to their children? The milk sold in Australia today – the sort most of us drench our cereal with every morning – is pasteurised. All the Australian-made cheese we chomp is also pasteurised. Pasteurisation is the process of ‘heating milk to 72ºC, holding it at this temperature for no less than 15 seconds and then cooling it immediately to 4ºC or less’. [i] Pasteurisation is a legal requirement of all milk sold for human consumption. If you decide you want to sell unpasteurised (raw) milk, you could be whopped with a disgruntling fine – in Victoria up to $44,000 and in NSW up to $275,000. The legislation does not prevent owners of dairy cows consuming their own milk, and many people are using this factor to creatively navigating the legislation. 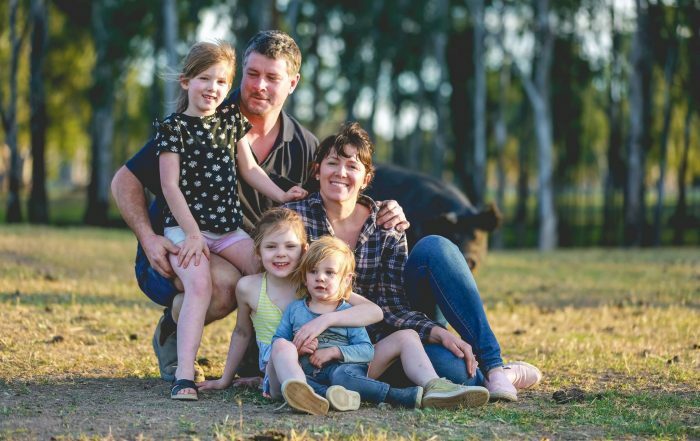 In May this year it was brought into the public domain, when Mark Tyler’s SA Willunga Hill Dairy was raided by Biosecurity SA and the Dairy Authority of South Australia. Many producers and consumers share Tyler’s view and argue the illegalisation of raw milk is unfair and believe that not only does raw milk taste better but is higher in nutritional content. They also point out that farmers sell raw vegetables and meat, which are other sources of food-borne illness. Some people argue their right to choose what they will consume should out-way the risk of raw milk to public health and safety. Why do we pasteurise milk in the first place? Authorities assert that pasteurisation destroys illness-causing bacteria present in milk (namely Salmonella and E.coli) and therefore is a vital step in ensuring milk and dairy products do not pose a serious public health risk. Over almost a decade between 1995 and 2004, OzFoodNet recorded eight outbreaks affecting 101 people who consumed raw milk or raw milk products. Interestingly, in 1998 more people got sick from eating gelato than from drinking raw milk and the biggest culprits when it comes to food poisoning are generally meat products. Pasteurisation was developed as a technique to extend the life of wine, actually. By a French person, of course. It was first applied to milk in the late 1880’s to prevent the spread of tuberculosis, which back in that day was commonly carried by milk. The first law to require the pasteurisation of milk was passed in Chicago in 1908. In Australia these laws were introduced in the 1980s. Milk has been pasteurised on a commercial scale ever since. Even so, pasteurisation doesn’t guarantee a 100% safe product. If things aren’t done properly, pasteurised milk can still cause outbreaks of foodborne illnesses. So why do authorities insist on pasteurisation? Well for one thing, while it doesn’t completely eradicate the chance of illness, it does drastically reduce the risk. Importantly (for business) it extends the shelf life of milk and standardises the texture, flavour, nutritional content and colour of the product so that it looks and tastes the same all year round all over the country. No matter where in Australia the dairy cows graze, the end product tastes the same. Basically, it takes any notion of terroir and heats it to smithereens. Advocates of raw milk believe pasteurisation disrupts nutritional availability in milk and suggest applying heat decreases iron, copper and manganese as well as vitamin C and denatures many of the proteins present in milk, changing the way they function (to ill-effect). They also claim the sterilisation of milk can impair the bioactivity of vitamin B6. In addition, pasteurising milk destroys the beneficial bacteria naturally present in it. Supporters argue the presence of these beneficial bacteria, vitamins and minerals boosts our immunity and is integral in fighting disease; allergies, digestive problems, eczema, autism and arthritis. FSANZ claim these assertions are not supported by substantial research. Actually, there is one health claim about raw milk that is substantiated by research and that is that raw milk reduces the susceptibility to allergies and asthma. “I’ve seen it do miraculous things with the health of my family,” she says, adding that it cleared up asthma, eczema and tooth decay problems in her three children. 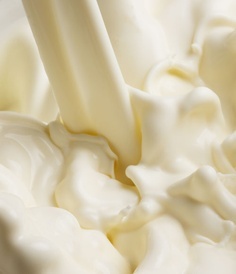 Treehugger published a terrific article on the risks and benefits of raw milk here. Food Standards Australia New Zealand (FSANZ) currently allows the production of a range of raw milk cheeses, which have been cooked in production, mostly hard cheeses such as parmesan and gruyere, however unlike the UK, the US and the European Union it is illegal to produce and sell unpasteurised or raw milk soft cheese. In France for example, the Mothernation of fine cheeses, all soft cheeses are made using raw milk and the French would probably strike if this was ever to change. FSANZ is asking for a second round of submissions on a proposal to allow a broader range of raw milk cheeses to be sold in Australia, but for now, it remains illegal despite that fact that hundreds of tonnes of raw milk cheeses are allowed to be imported into Australia every year. Australian producers, understandably, are unhappy. He is not the only one who shares this view and many believe the industry would greatly benefit from the changes to the existing regulations because the regulations as they are now are stifling an emerging artisan food culture that could provide many jobs in remote areas. Studd went on to say, “Where’s the incentive to produce fantastic cheese? And eventually what will happen to Australia if the regulations aren’t changed is we will end up with bigger and bigger dairy farms, larger and larger herds and poorer and poorer quality milk”. Submissions to the FSANZ close on the 21 August 2014, and pending their findings, Australia could see these changes to the consumption of raw milk cheeses come into effect. The changes could potentially re-imagine the artisan dairy industry in Australia, and give rise to future changes to raw milk legislations. For now, it’s up to consumers to seek out bath milk and unfortunately suppliers remain at risk of legal action for the mere act of selling it. The pickle is that while the sale of raw milk remains illegal, the industry will remain underground and therefore unregulated, which could pose a greater risk to public safety. Legalising raw milk sales would at least allow for regulations, strict testing and codes of practice to be put in place so that consumer choice AND public safety can be maintained. Looking for quality, ethically and sustainably produced milk near you? Check out our new Dairy Diaries section and use the Alt.Milk guide here. [ii] Marks, Paul. “Raw milk raid at Willunga Hill: Enforcing food safety”. ALJ 38.3 (2013). Web 13 Jul 2014. [iii] Townsend, Jo. “Raw milk debate”. Australian Broadcasting Corporation. 21 Apr 2013. Web. 11 Jul 2014.